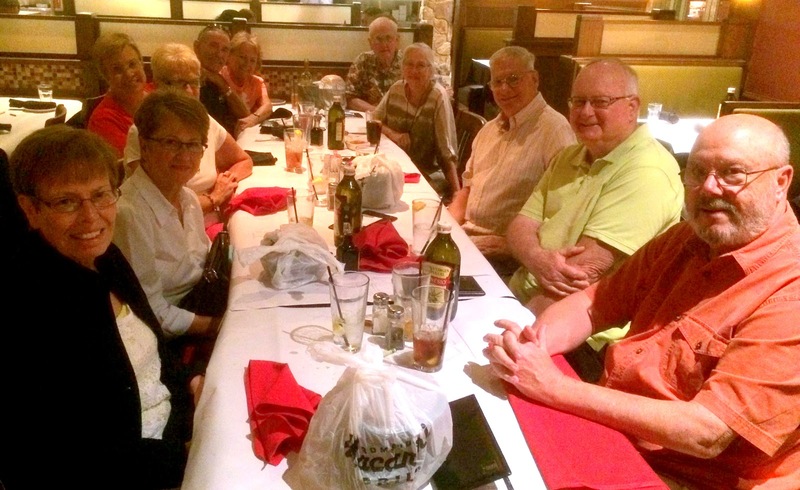 From left front around the table: Jackie, Marian, Marilyn, Sandy, Steve, Jackie, Jim, Carol, Ed. Mike and Denny. This handsome group met at Macaroni Grill for much conversation and laughs on this occasion, and we'll undoubtedly meet again several times before we leave the Valley next month. Now that we're here, enjoying the warm days and the breezes whispering through the palm trees, it doesn't seem like winter at all. In fact, we've put away our winter coats and have broken out our shorts and tropical weight shirts. We see news reports about the harsh winter storms elsewhere, but it's just really hard for us to relate to the reality that it is still the dead of winter in most of the country. We decided to bring Mae with us this time instead of Beulah, the Escalade, which is decidedly roomier for potential passengers. My thinking was to put more miles on the car most likely to be traded soon, although I'm not sure when that will happen. With new brakes and a new transmission, Mae needs to pay for herself a good deal longer. We've already had our favorite RV washing guy, Jesse, out to give Phannie a good wash and wax job. 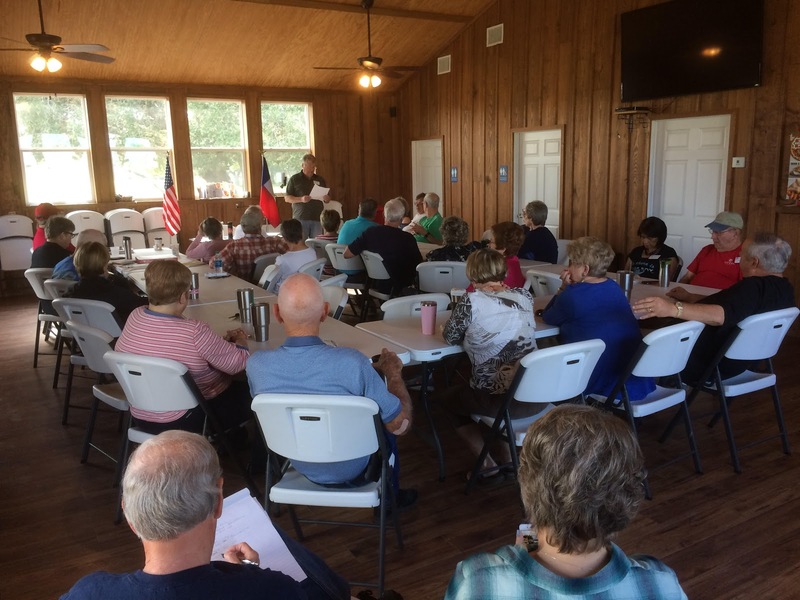 We never fail to get this done here, as he charges only about half as much as almost anyone else outside the RGV. We'll also be calling on the carpet cleaners to give the carpets a good cleaning. By the time we leave, Phannie will look like new! Not wanting to be without one of these chairs (we had four of them before this incident), I sent a quick email to Strongback to order a replacement. I knew that the failure of this fitting in one of their first production series of chairs was probably due to a design oversight--that being the use of a fitting attachment brad that was susceptible to rusting. The newer chairs I have bought have rustproof fittings. I related my experience to Strongback and, to my astonishment, they offered to sell me the replacement chair at a very generous discount--recognizing, I presume, the inadequacy of the fitting that had broken in my older model chair. Now this was a good deal, I thought. We had gotten quite a few years of use out of that old chair, and it certainly wasn't eligible for any kind of warranty replacement. I was so impressed that I ordered not one, but two, new chairs. Now that brings me to what may seem like a crass commercial offer that benefits me, but that's not the case. As you know, I have never offered anything for sale on this blog, nor have I placed any ads in it, although I certainly could have. 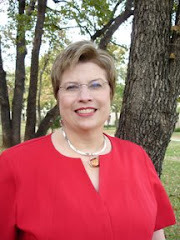 But because of my positive dealings with Strongback and my belief in their products, they have agreed to offer a 15% discount to all of my readers who order one of their products from their website at http://strongbackchair.com and include the code "PhannieAndMae15" at the point in the online order where you enter a coupon code. This will save you about 15 bucks on an 'Elite' model (there are several others), but you should know that I receive no commission on such orders. I just like the chairs, and I think anyone who tries one would be equally enthusiastic. 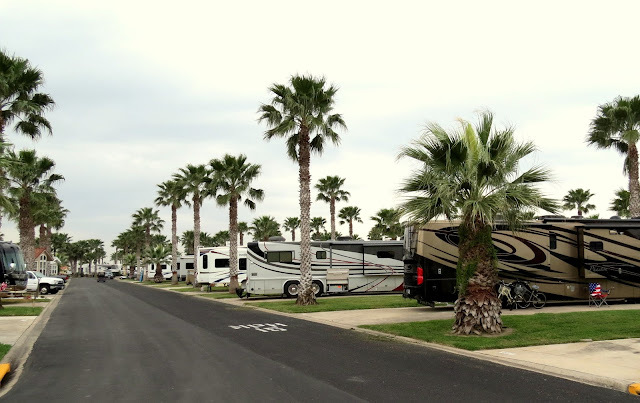 On another subject, I have made several additions and deletions to my "Best of the Best RV Parks" linked above. These can be seen in red text within the listings. As always, I appreciate reader input if you find a "best" park not listed or if you find a park that you think doesn't qualify for its rating. 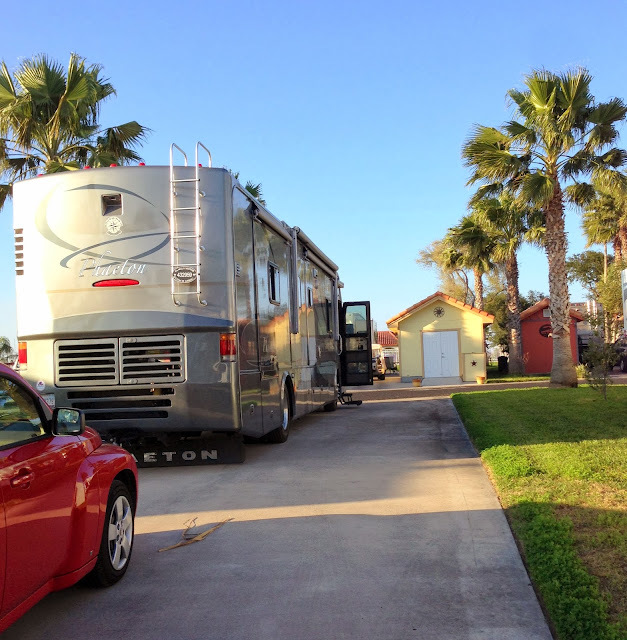 It's always a little sad to leave the kids to continue our peripatetic lifestyle, but this time it was quite a bit more difficult, as we had been on hand there near Conroe for almost three months--the longest time we have had an uninterrupted stay at a single location since we began fulltiming. We enjoyed lots of exciting times, including Thanksgiving, Christmas, Pryce's birthday and Mindy's graduation from nursing school--all of which were family events that we wouldn't have missed. We had the additional advantage of a relatively warm location to spend most of the winter in a nice park on the shore of Lake Conroe. We had only one cold spell where the temperature sank below freezing, but most of the time, not even a light jacket was needed. After so long immobilized, hitch itch had begun to set in, and the road definitely beckoned to us. We had signed up to attend a rally in Victoria held by a Tiffin owners club of which we are members. We found ourselves a bit clunky in getting our normally clockwork-like pre-departure prep done, as we were a little rusty. We were slowed somewhat by the need to take some things back to storage that we found had sort of migrated into the coach. We didn't exactly remember when this happened, but we must have been the culprits, as the items certainly wouldn't have climbed aboard by themselves! When fulltiming, it's very easy for excess 'stuff' to get out of hand, so we have to be diligent in keeping only the things we need. In a small space, things get cluttered quickly. 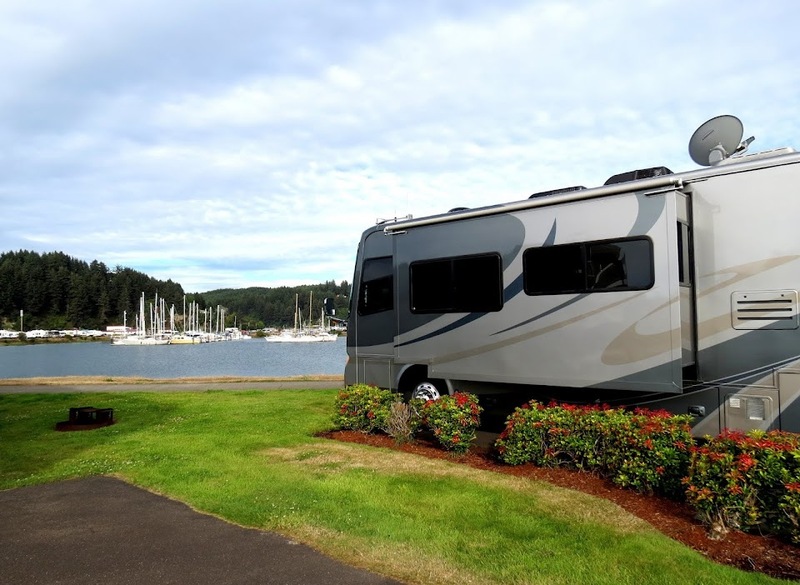 Arriving at the KOA near Victoria, we had a good time with club friends. Among the highlights was a visit to Art and Shirley Buckert's new 'barndominium'--a beautiful RV port built out on their land a short distance from town. I didn't have the presence of mind to take a photo, unfortunately. 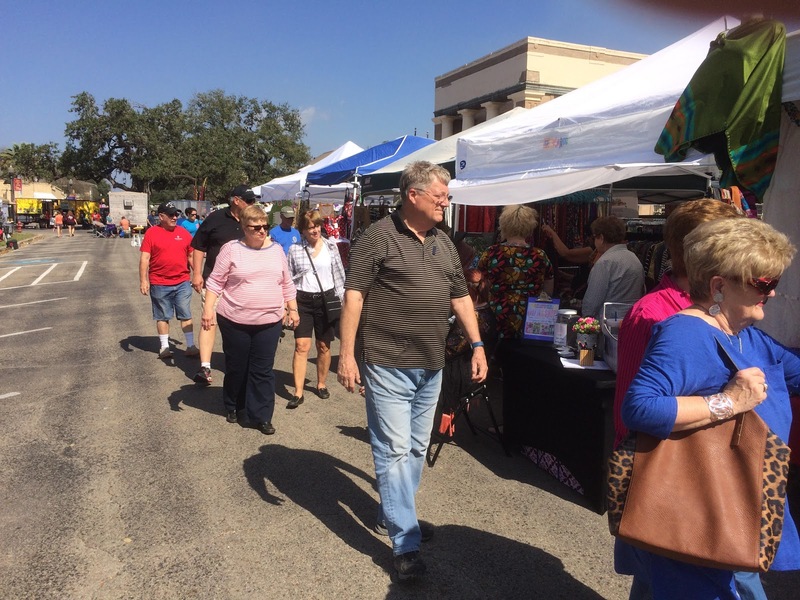 Some of the members made the short trek over to Goliad to see what we could find at the local trade days market. In this shot, I can see various parts of Chuck, Ronnie, Sandy, Fran, Chip, Diane and Cathy. I found some good salsa and homemade pickles that I just had to have. It would not be difficult to conclude from this that I am fond of spicy food, and you would be right. These pickles were really spicy (and really good). On the last evening, Shirley arranged for us to occupy a Victoria restaurant to enjoy a prime rib dinner prepared just for us. We felt pretty important, and the food was delicious! Thanks, Shirley! And thanks, co-host Fran! After an uneventful drive, we arrived here at Llano Grande on a beautiful Sunday afternoon, where the temperature was 84 degrees. As we changed into cooler clothes, we saw on TV that winter storm warnings were being issued for the east coast of the U. S.
We'll be meeting friends Ed and Marilyn in a couple of days for a trip across into Mexico. That'll be a fun time for sure. The day finally came for the grandsons and their parents to go for an airplane ride with "Poppy." (I'm not sure they know my real name any longer, and that's fine with me.) Daughter Mindy had flown with me years ago, but it was in a DC-9, and I'm not sure she remembered the experience very well. This was also the first time in a small airplane for son-in-law Tyler and the boys. Up until now, their knowledge of their grandad as a pilot was merely anecdotal and through seeing photos of me dressed in a pilot's uniform or showing views of the airplanes I flew. We all showed up at the sleepy little Huntsville airport, and I got a big kick out of how the boys had dressed for the flight. Little Pryce was in a little junior pilot's uniform, and Mason was wearing one of my decades-old pilot's caps that I had given him. Apparently, they were really getting into this, much to my delight. The line personnel brought the Cessna to the terminal ramp, and I went out to preflight it, after which Mindy and the boys came out to get strapped in. When it was Pryce's turn to sit in the copilot's seat, he insisted on reading the checklist, because I had told him that pilots are supposed to use checklists so as not to overlook something important. Remaining at low altitude for good sightseeing, I was a little apprehensive that my passengers might be affected by the slightly bumpy air, to which small aircraft are much more susceptible than large ones. Luckily, no one had a problem at all, and they were all transfixed by what the ground looked like from the air. I pointed out various landmarks to them, and they seemed completely enthralled by the experience, just as I had hoped. We didn't stay up but a half hour on each of two flights. We had to land and let the boys change seats about halfway through. Once airborne, I let Mason hold the yoke on his side for a brief time to give him a feel of it, but he quickly turned it back to me after a stronger-than-usual wind gust jostled us a bit. But that's okay; he flew long enough to have bragging rights among his school chums, something of which he took full advantage, I later learned. Tyler took Mindy's place on the second flight, and he seemed to enjoy the experience, too. After about an hour, we returned to land; no one was worse for wear and there were smiles all around. Mission accomplished! What a great experience this was for all of us! I don't know whether this flight or future ones will have any influence on my grandsons now or later in life, but I'm glad I could be the one to take them for their first flight in a small airplane. For me and for them, this was a promise fulfilled, and I suppose I am now not merely Poppy but, in their admiring eyes, a living legend to boot. I couldn't possibly be happier. After getting our seat belts fastened and getting comfortable with the cockpit layout in the Cessna, I looked over at Wayne and said, "Are you ready?" He gave a thumbs up, and I turned the key in the ignition (yes, it starts just like a car). The four-cylinder Lycoming engine started right up, and I was soon taxiing a bit jerkily toward the runway at Huntsville. When taxiing in most light airplanes, steering on the ground is controlled through use of the rudder/brake pedals. In the large jets I had been flying, steering on the ground is done by using a small steering wheel, called a tiller, located on the forward left console near the captain's knee. For the first few minutes, my turns in the Cessna were a little late because I was instinctively reaching near my left knee for the nonexistent tiller when I wanted to make a turn. I quickly corrected the error, though, and I found myself taxiing straight and smoothly after that. The takeoff was certainly different, as the little Cessna was ready to fly within seconds after throttling up to full power, and its takeoff speed was about a hundred knots slower than the 727's. We used only a few hundred feet for the takeoff roll, while I was accustomed to using the better part of a mile of runway in the big airplane. After stabilizing in the climb, I was gratified and relieved that my sense of familiarity with this little airplane came rushing back. After all, I had flown almost a thousand hours in these light single-engine types many years ago before moving up to multiengine airplanes and jets, so the Cessna and I weren't really strangers. 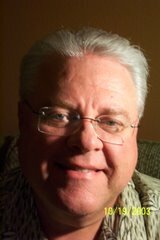 Wayne directed me to a sparsely populated area north of the airport, where I performed the customary maneuvers that I remembered from the past, including steep turns, slow flight and stalls. Perhaps because of all the time I had spent in my career flying solely by reference to instruments--necessary to attain the precise control of a high performance aircraft--my accomplishment of these maneuvers was nearly perfect. My confidence level was increasing rapidly, and Wayne soon advised me that I didn't need to spend any more time on this part of the check. My first landing was a bit unsteady because I found myself flaring the aircraft a bit too high above the runway. This was something I had sort of expected because the cockpit of an airliner is usually around 15 or more feet above the ground while the little Cessna's is less than three feet. The rest of the landings turned out fine, as I quickly made allowance for the discrepancy. For each landing, however, I purposefully reminded myself while crossing over the end of the runway about the need to concentrate on the new lower landing view perspective. I'm sure that will not be necessary as I do more flying. As on takeoff, the approach to landing was performed about 100 knots slower than in the 727, plus the landing technique involved pulling the Cessna's engine power all the way to idle, allowing the airplane to settle slowly onto the runway. This was much different from a jet airliner, which requires carrying significant thrust from the engines until the moment of touchdown. The airplane is literally flown onto the runway under power at a precise pre-calculated speed, based on the weight of the aircraft and other performance factors. The little Cessna, by comparison, was more like a leaf slowly settling to the ground underneath a tree. After several landings, we taxied back to the ramp and secured the airplane. As we were walking to the terminal, I asked Wayne if he thought I needed some more time with an instructor. He turned toward me with a feigned annoyed look and said, "Give me a break." Inside, he signed off my logbook and said, "I'll see you in a couple of years." I guess that answered my question. And so it was over. It was, indeed, like riding a bike; I suppose you never forget. But just for good measure, I'll be doing a bit more flying before taking the grandsons along. This was also a bit of a wistful time for me. So many memories came rushing back of an exciting and rewarding avocation. I found myself enjoying this new adventure but missing the satisfaction of exercising the skills carefully developed in mastering an awesome flying machine like an airliner. It's okay, though; the memories are good ones, but I wouldn't trade for this best time of my life. More to come, y'all. Keep your seat belts fastened and your tray tables in the upright position. 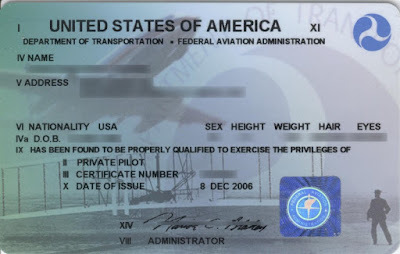 After making up my mind to get recurrent as a pilot, I had to get a medical certificate from an FAA-designated physician. Because of some old medical issues, that took a bit longer than I had anticipated. I had to undergo a few extra tests, but eventually, I was judged pretty healthy for an old guy. In possession of the required document from the flight surgeon, I decided to go to a rural airport to do the required flight check. That's the kind of sleepy airport where I learned to fly, and I thought it would be neat to recapture that bit of nostalgia. I had been flying in and out of very busy metropolitan airports for most of my career, and returning to my roots would be a treat, I thought. The airplane to be used was a single-engine, high-wing model that I hadn't flown in 50 years. Before we went outside for a preflight inspection, Wayne asked what my previous flying experience had been, and I related to him my flight time and that I had been flying large commercial jets. He paused for quite a while, then he turned to look at the little Cessna in front of us. He then looked back at me, saying, "And you want to fly that?" I explained that I had retired from commercial flying about 20 years ago, but that now I wanted to be able to fly for fun and take my grandsons flying. Wishing to put him at ease, I also told him that I had no illusions about how rusty I might be and that he should assume nothing as we went forward. I told him I would follow his lead, and he would not have to worry about my being a know-it-all. 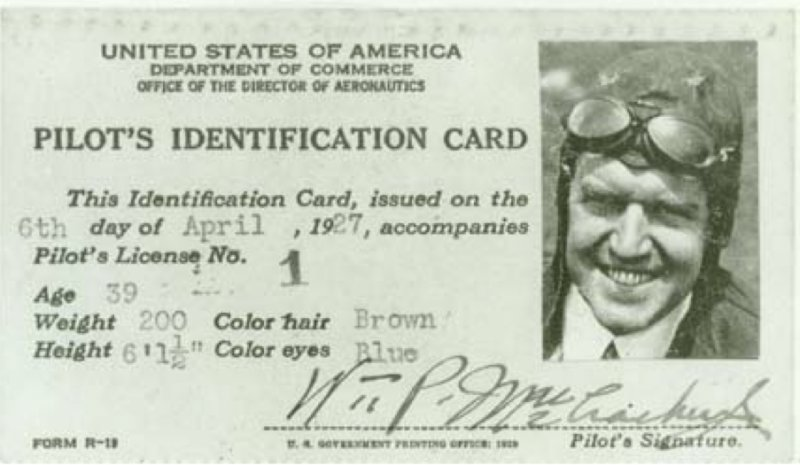 This is a copy of the first pilot certificate, issued in 1927 to a William P. McCracken. He looks pretty happy, doesn't he? It's a shame we don't have photos on today's certificates; I would be tempted to wear goggles, too! Above is license number one. Since 1927, around five million have been issued. Of these, about 800,000 are active now in the U.S. Doing the math, about one person in 400 is a licensed pilot. 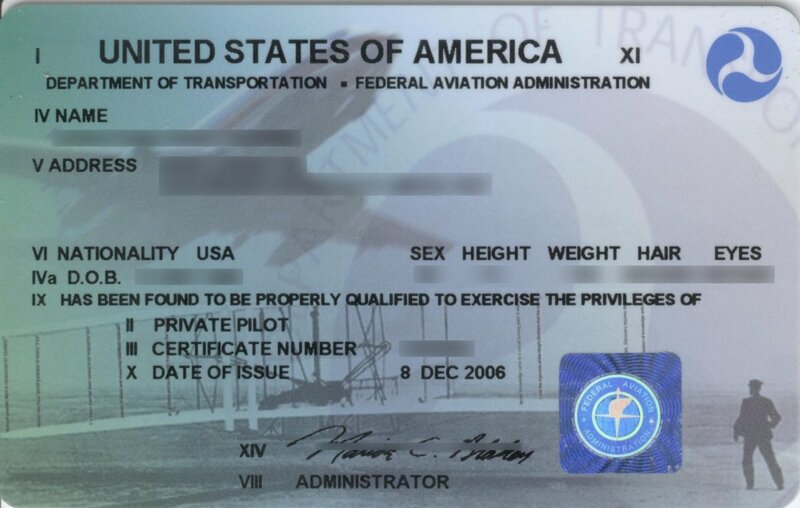 About one in 4,000 holds an Airline Transport Pilot certificate. "I haven't seen a certificate number as low as yours in quite a while," Wayne said. Seemingly satisfied, he motioned toward the airplane and said, "Well, let's go see how much you remember." 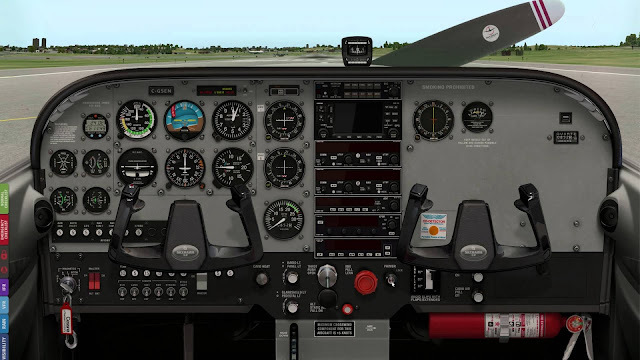 I should mention that I had done a good bit of online familiarization with the Cessna's flight manual and checklist beforehand, so I knew pretty well what to expect in terms of systems, numbers and limits that I would need. In doing so, I was struck by the relative simplicity of this information. Having had to spend weeks learning a massive amount of incredibly complex data about the jet airliners I flew, the little booklet-sized Cessna manual seemed almost infantile by comparison. (You should know that today's airliners are much easier to learn and operate, because so many of their systems are automated. 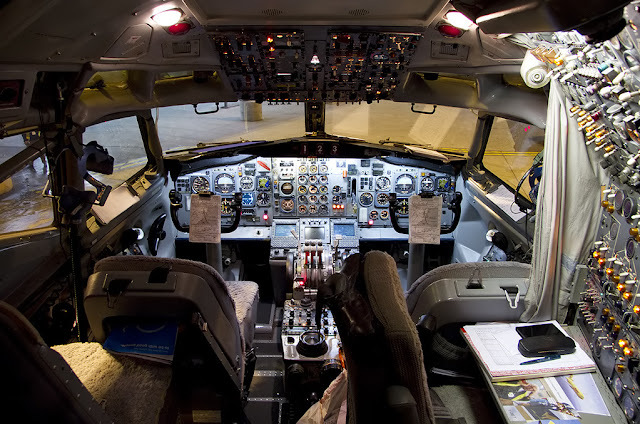 The old airliners I flew had almost no automation, relying more on the knowledge and skill of the pilots who, as humans, were occasionally subject to error. For that reason and others, flying is a good deal safer today.) Even though the Cessna information was simple, I paid attention anyway; when you're flying an airplane, there's no such thing as too much information about the machine you're operating. Wayne took me through a thorough preflight inspection, and I found that little had changed from the preflights I remembered from my past association with small airplanes. It certainly wasn't complicated, but it occurred to me that it had been decades since I had conducted an exterior preflight. In the larger airplanes I had been flying, these 'walkaround' inspections were usually done by the flight engineer or first officer. Well, that's enough for now; more on this saga in future posts. Stay tuned!